This is a vegan chili...with just the right amount of bite! Soak in water (1 inch above the beans) overnight. Before cooking, rinse beans again. Place soaked, drained, rinsed, beans in crock pot and add water and veggie broth. Saute onions in olive oil over medium high heat until transparent, add garlic for the last minute, add to crock pot. Add tomatoes, salsa and spices to crock pot. Stir, cover and cook on high for 2 hours then turn to low for 4 hours. 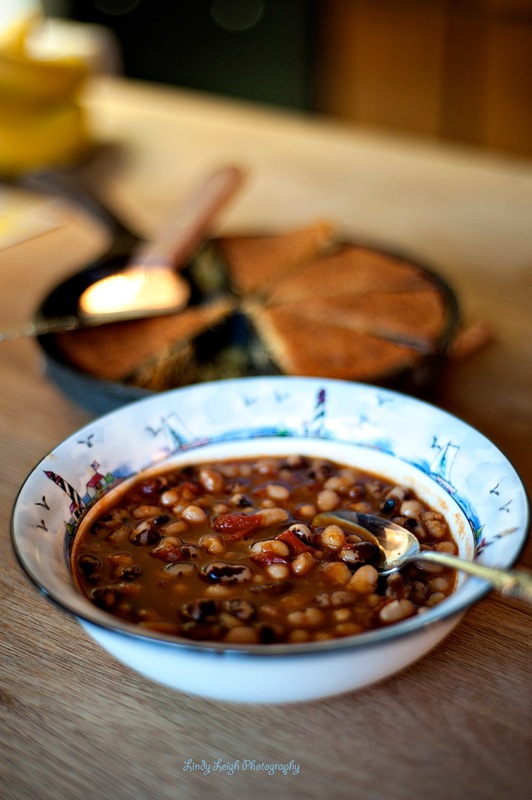 Serve with your favorite corn bread or corn chips. Choc One Up for Chip! This recipe is yummy. I mean YUM-EE! I used coconut oil and almond butter in place of butter and peanut butter. 1/4 cup Coconut ( I use unsweetened real flaked coconut, not the over processed sugary stuff). Preheat oven to 350 degrees and line a baking sheet with parchment paper. In a bowl of a stand mixer fitted with paddle attachment, cream together coconut oil, brown sugar, and brown rice syrup until fluffy. Add in egg, almond butter and extracts and mix thoroughly. In a separate bowl, whisk together the flour, oats, baking soda and baking powder. Slowly add to the mixer and beat until blended. Add chocolate chips and coconut and mix until blended. Scoop dough by rounded tablespoons onto baking sheet, about 2 inches apart. Bake for 10-12 minutes or until light golden brown. Thoroughly cream butter and sugar. Add egg, milk, vanilla, and almond extract; beat well. Sift flour and baking powder; add gradually to creamed mixture, mixing until smooth. Do not chill. Force through cookie press onto un-greased cookie sheet. Bake at 400 for 8 minutes; cool. Makes 72. We have had TONS of zucchini this year from the garden. I wanted to make a zucchini bread that had lots of zucchini in it AND I wanted to share it with my Seminary class. This recipe has a delish topping that the students LOVE and they eat it up! YAY!! Nice, I feed them and use that zucchini up all at once! Grate zucchini. If using larger zucchini, cut out any large seed sections from the middle before grating. When the 3 cups are grated, set the zucchini aside. Grease and flour 2 loaf pans. Preheat oven to 325°F. Mix all topping ingredients together. Mix butter into other ingredients using your fingers. When mixed, set aside. Add eggs to a large mixing bowl and beat together until slightly foamy. add the oil and sugar to the beaten eggs; beat with the mixer until well blended. Add the grated zucchini and vanilla; stir by hand until it is well mixed into the egg and sugar mixture. In a separate bowl, combine the flour, baking soda, baking powder, and cinnamon. Stir to mix evenly. Add the flour mixture to the egg and zucchini mixture; stir just until evenly mixed. Pour even amounts of the batter into the prepared loaf pans. Sprinkle the crumble topping over the top of the batter in each pan. The crumble topping provides for a thick layer over the top of the loaves. If you do not want the topping that thick, don't add all of it. Place the loaves into the preheated oven and bake for 60 to 70 minutes or until a toothpick inserted in the middle comes out clean. Remove loaves from the oven and allow them to cool on a rack for 10 minutes before removing from the pan. Cool completely before storing. I just created a YUMMY healthy waffle recipe. I took the sugar, white flour and fat out. Even my picky eater loved the waffle. I got this recipe from my childhood friend. She got it from her sister-in-law, who got it from the restaurant owner. It makes about 8 cups of salsa and fits perfectly in one of the large Pampered Chef batter bowls (with lid). In blender, mix whole peeled tomatoes with spices (cumin, white pepper and salt) then pour into bowl. Add diced tomatoes and onions, set aside. In blender add ½ of the tomato juice and vinegar. Blend and add to bowl. With other ½ of tomato juice, blend jalapenos first then add cilantro and pulsate so you leave small pieces. Add to bowl. Stir well. *If it is too spicy, add more chopped tomatoes. If it is too bland, put some of the salsa back in the blender and add blend in another spoonful of jalapenos! Mix all ingredients in a bowl and refrigerate for at least one hour (ha!). 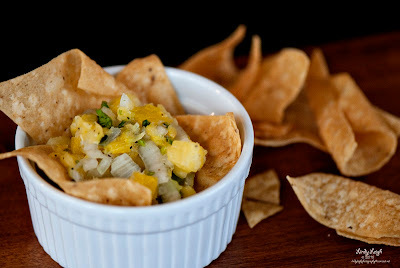 Serve with your favorite tortilla chips. This would be good in a shrimp taco or over grilled fish. You could also pour it over a brick of cream cheese and serve it with crackers! I threw this together at home with ingredients I had on hand and my houseguests absolutely raved about it. It was very easy. Preheat oven to 350 degrees. Mix broccoli, onion and garlic. Place in unbaked pie crust. Top evenly with grated cheese. Mix eggs, milk, salt, pepper and melted butter together. Pour egg mixture over broccoli and cheese. Bake in preheated over for 30-45 minutes, or until center has set. It took quite a while for my quiches to set, but maybe that is because I cooked two of them. Also, as usual, I didn't exactly measure the broccoli or cheese. I just did what felt right at the minute. Santa brought us a fancy waffle iron for Christmas this year (ya know, the kind that has a handle to flip the waffle over like they use at hotel breakfast buffets...). Since the boys want waffles several times a week, I figured I'd better find a healthy waffle recipe so they wouldn't be eating white flour with syrup on top to start their school day. Here is a recipe I designed (based off another one I found online and changed). It is healthy and tastes good. I served these waffles to a house full of company last weekend and they loved the waffles! Combine dry ingredients in one bowl. Combine wet ingredients in another bowl. Mix together until just combined (don't overmix). Pour batter in waffle iron and cook as usual. Be sure to spray the waffle iron with Pam spray since there isn't much fat in the waffle so it might stick more than usual. I plan on substituting some milled flax seed for some of the eggs next time. The package of milled flax seed lists substitutions on it... it can be used as an egg or fat substitute. I was excited to buy this as a little post Christmas present for myself. For New Year's Eve tonight we are having a "nacho bar" with nacho cheese in one section, ground beef in another, and refried beans in the third section. And next week I am having a "soup bar" and then a "taco bar." For the taco bar, I will put two different type of meat and then black beans in the three pots. How cool is that! P.S. I bought it for $49 at Kohls on sale this past week (normally $79 I think). Cream sugar and shortening; add eggs and vanilla. Sift flour, salt, and soda together. Add sugar and shortening and egg mixture. Add chopped cherries. Bake at 350 for 8 - 10 minutes. 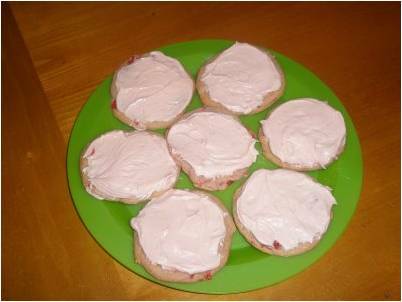 Frosting: Mix cherry juice, 2 tsp. vanilla and 1 cube butter add powdered sugar one cup at a time, until desired consistency. Got this recipe from my 8 year old son's friend Sammy. She loves to make these on her own! Combine flour, cocoa, baking powder, baking soda, and salt in a large mixing bowl, set aside. In another bowl, beat butter and sugar on low speed until fluffy. Add the egg and vanilla, beat until well blended. Gradually add in the flour mixture and blend well until smooth. Shape into 1 inch balls by rolling a small amount of dough between the palms of your hands. Place on un-greased cookie sheet. Using thumb, press down center of ball making an indentation. Drain cherries, reserving the juice. 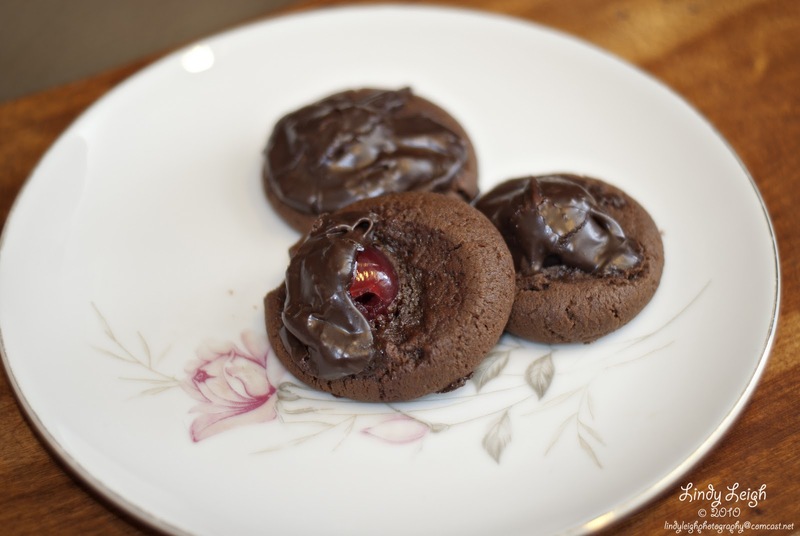 Place a cherry in the center of each cookie. For frosting: In a small saucepan, combine chocolate chips and sweetened condensed milk. Heat over low heat until chocolate is melted. Add 1 tablespoon and 1 teaspoon reserved cherry juice and stir. Spoon about 1 teaspoon frosting over each cherry, spreading to cover cherry. If frosting gets too thick, add a little more cherry juice. Bake in oven at 350° for 10 minutes. Cool on wire rack. Each year, one of my friends at work hosts "The Beast of a Feast" dinner on the Friday night before Thanksgiving. We each bring a part of the meal and have a traditional Thanksgiving dinner. One of the girls brings this delicious casserole. I could eat it as dessert! Looking at the ingredients I'm sure it's origins come from Paula Deen! Stir all ingredients EXCEPT cheese together in a large bowl. Pour into greased 9x13 casserole dish. Bake in a preheated oven (350 degrees) for 45 minutes. Remove and immediately top with cheese. Bake for another 5 to 10 minutes until cheese is melted. Serve warm. 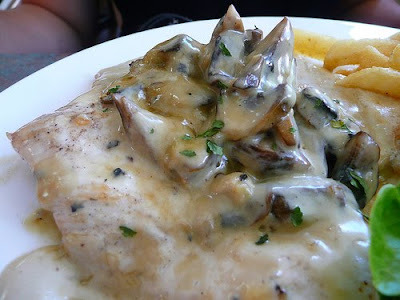 Cook chicken by either boiling in water, baking or microwaving until cooked through. When cool enough to handle, chop or shred chicken into bite size pieces. Zest and juice the lemon discarding seeds, reserve juice and zest. Roughly chop fresh basil and water chestnuts. In a bowl mix all ingredients together with mayonnaise. Salt and pepper to taste. 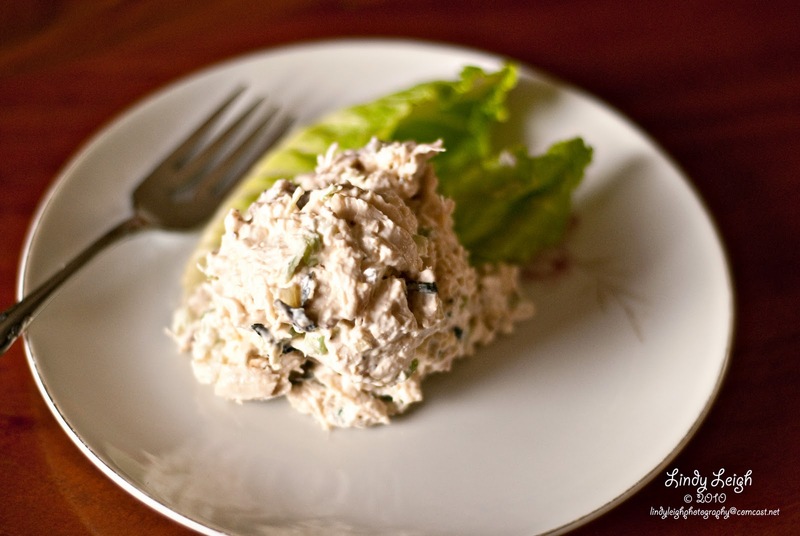 Split into four servings and serve on a lettuce leaf, a bed of fresh spinach leaves or on sandwich rolls or croissants. After watching Disney's The Princess and the Frog ...set in New Orleans in the 40's where the main character Tiana, is an aspiring chef and she makes these sweet southern 'doughnuts' and they look scrumptious... I decided to try them this week... I highly recommend this cute and funny movie. I found this recipe on All Recipes dot com and I must say...what's not to like about a recipe like this? My mouth is watering just planning it! In a large bowl, dissolve yeast in warm water. Add sugar, salt, eggs, evaporated milk, and blend well. Mix in 4 cups of the flour and beat until smooth. Add the shortening, and then the remaining 3 cups of flour. Cover and chill for up to 24 hours. Roll out dough 1/8 inch thick. Cut into 2 1/2 inch squares. Fry in 360 degree F (180 degrees C) hot oil. If beignets do not pop up, oil is not hot enough. Drain onto paper towels. 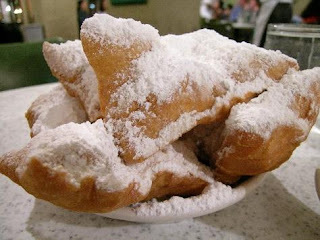 Shake confectioners' sugar on hot beignets. Serve warm. Grease a 9x13 inch pan, place bread cubes evenly in the pan. Add the blueberries and cream cheese evenly throughout the bread cubes. In a bowl beat eggs, half & half, cinnamon, nutmeg and syrup until well blended. Pour over the ingredients in the baking dish- cover. Refrigerate overnight. This is the best stew ever! When I first saw the recipe and the tomato sauce in it, I thought that was bonkers! But you can't taste a hint of tomato. This is so super easy to make and tastes great! The only problem I ever had was overloading the pot and then it would boil over in my stove! But I've made this many times. Serves 4-6. Grease Dutch oven or heavy pan. Place beef cubes on the bottom. Layer carrots, then potatoes, lacing bay leaf on top. In a separate bowl mix remaining ingredients and pour over beef and vegetables. Cover with a tight-fitting lid. Bake at 250° for 6 hours (or up to 8 hours). You can also bake this in your slow-cooker on low for up to 12 hours. For Halloween or a fall or harvest dinner you could serve it in a hollowed-out pumpkin shell. 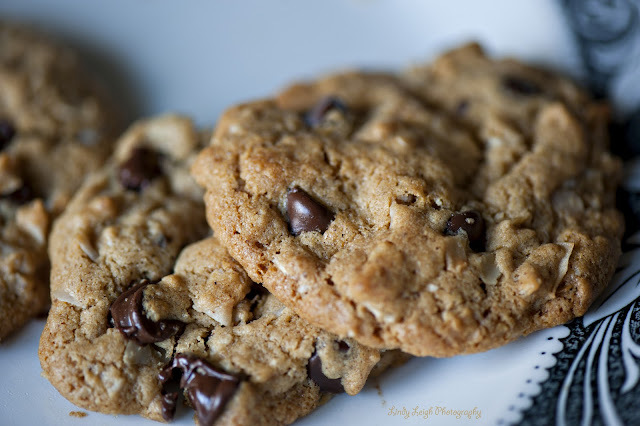 I've been making this good ole' Betty Crocker recipe for years! The reason I love this recipe is because it has so many good and nutritious stuff in it, like Wheaties, coconut, and oatmeal. I always add chocolate chips, which is not in the original recipe. This is for a double batch. Heat oven to 375°. Mix thoroughly shortening, sugars, eggs and vanilla. Stir in remaining ingredients. 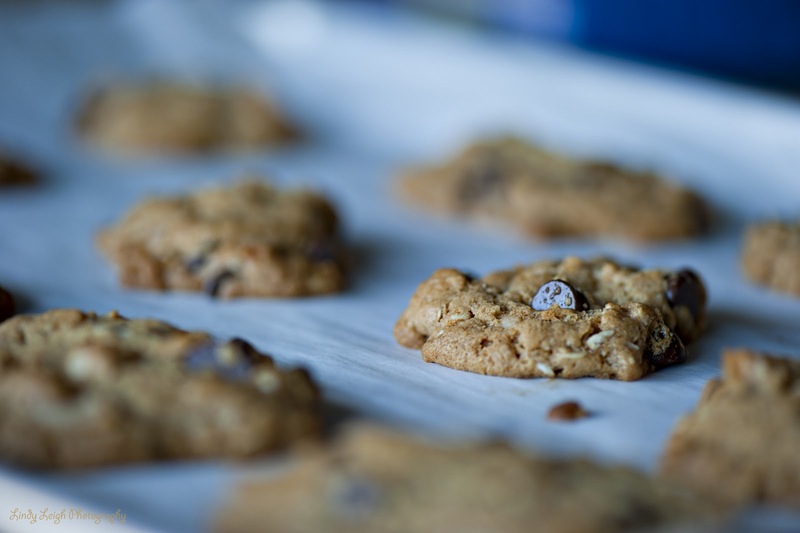 Drop by rounded spoonful two inches apart onto ungreased baking sheet. (but I always coat my pans with Pam anyway) Bake 9 to 11 minutes or until set, but not hard. Cool about 3 minutes or baking sheet. In a large pan melt butter and add potatoes and pour stock just enough to cover potatoes. Cook on medium high until stock is all but evaporated. this should take 20 - 30 minutes. The butter will remain in the pan after the stock has evaporated and will finish the potatoes. Slightly smash potatoes flat with a masher or a vegetable type can...I've even used a small cooking pot. let the potatoes cook in the butter until lightly browned. Add salt and pepper to taste. I served these with my St. Paddy's Day meal. Pour water in dutch oven. 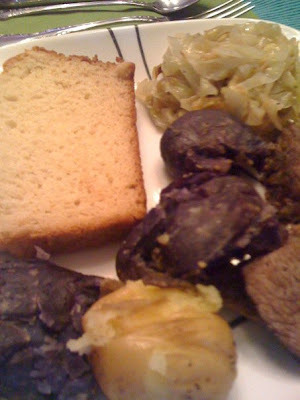 Lay 3 - 18" pieces of foil in a Dutch oven and place corned beef in the middle. Rub spices from packet over the top. Fold foil over meat and cover with lid. Bake in oven for 2 1/2 hours. After removing from oven, let rest 10 minutes, take out of foil slice and serve! If you make corned beef and cabbage with this a bit of the juices can also be added for flavor. Heat large frying pan over medium high heat. Add olive oil and butter to hot pan and tilt to cover bottom. 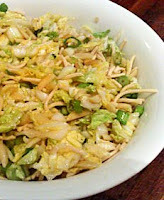 Add cabbage and let sit for 3 minutes to brown. Stir well and let sit another 3 minutes to brown. Stir well and add salt and pepper to taste. Serve and enjoy! Preheat oven to 325 degrees F (165 degrees C). Grease a 9x5 inch loaf pan. 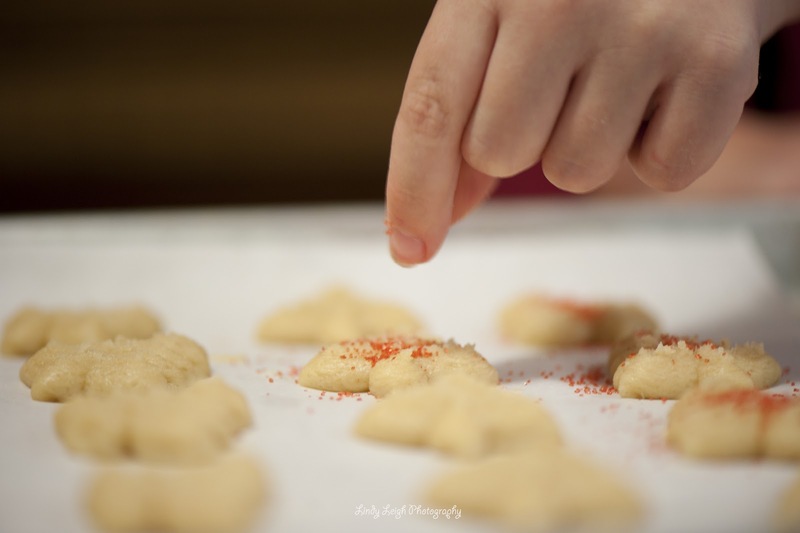 Combine flour, baking powder, sugar, salt and baking soda. In a separate mixing bowl, blend egg buttermilk and melted butter together, and add all at once to the flour mixture. Mix just until moistened. Pour into prepared pan. Bake for 60 to 65 minutes, or until a toothpick inserted in the bread comes out clean. Cool on a wire rack. Cook butter and brown sugar in a large sauce pan until brown sugar is dissolved, turn off heat. Meanwhile, in a separate bowl, combine cereal and coconut and add to sugar mixture. Press 2/3 of cereal mixture in a 9x13 pan. Put into freezer for five minutes and stir ice cream and spread over mixture in pan. Sprinkle over the top with the rest of the mixture and freeze for at least one hour before serving. Serve with chocolate sauce, recipe below. bring to a boil and lower to simmer for 3 minutes. Cool for 10 minutes and serve over Rice Krispie dessert. I've never tried it but DW says cherry pie filling is good over it too. 1 package Linguine Noodles, cooked, cooled and cut into 2 inch pieces. Spray a 9x13 casserole dish with spray oil and lay 1/2 of the bread slices in a casserole dish and pour 1/2 of the eggnog over them and place the other half of the bread slices on top and pour remaining eggnog. Cover and refridgerate for at least 4 hours or overnight. The next morning spread topping (below) over bread in casserole and bake for 40-45 minutes until puffy and golden brown. Cool for about 10 minutes before serving. 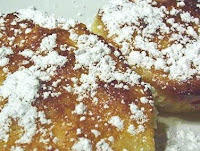 Serve with powdered sugar to sprinkle. Slowly melt the chocolate in a bowl in the microwave stirring after each one minute increment. When all the chocolate has melted, add the orange zest. Remove from the heat and quickly add the nuts and cranberries. Mix well. Spread the chocolate mixture on the parchment lined baking sheet. (You can sprinkle on extra cranberries and nuts at this point if you want to). Let set for at least two hours. ADD seasoning mix, beans, salsa and water; stir. Bring to boil. Reduce heat to medium-low; simmer 5 min. STIR in tortillas; top with cheese. Cover; let stand 5 min. or until cheese is melted. Top with sour cream and toppings. 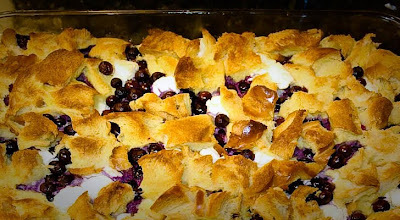 My husband and boys LOVE this casserole. It is easy, delicious and different. Mix together eggs, milk, salt, pepper, paprika and cayenne. Cut chilies in half and add a single layer of chilies on the bottom of a 9 x 13-inch baking dish. Top chilies with half the grated cheese. 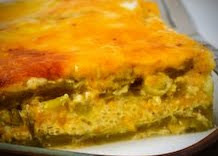 Repeat with another layer of chilies and another layer of cheese. Pour egg mixture all over the top. Place into a larger baking dish or rimmed baking sheet. Pour in 1/2 inch of water and bake for 35 to 45 minutes, or until completely set. Cut into squares and serve with warm corn tortillas! Place chicken in bottom of crock pot (sprayed with spray oil first). Place carrots on top and pour soups over all. Sprinkle with garlic salt. Cook in crock pot on low for 7 hours (8 hours if breasts are frozen). This is good served over rice or egg noodles. I had leftovers so the next day I put the rest plus the rice in a soup pot. Added 1 box chicken broth and 2 cups frozen peas, salt and pepper to taste and make a yummy soup.